An impressive effort for the vintage, the 2004 Montrose possesses a deep ruby/purple-tinged color as well as a sweet nose of black fruits intermixed with notions of smoke, cold steel, earth, and subtle background wood. With excellent texture, a sweet ripeness, medium to full body, and moderate tannin, it should drink well for 15+ years. Drink: 2007 - 2022. Tasted at the French Embassy in London. 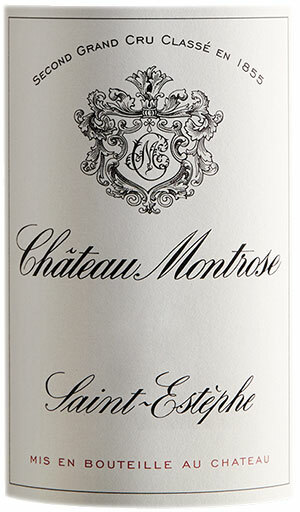 The Montrose ’04 has a delightful bouquet that is feminine for Montrose with ripe wild strawberry, dried flowers, cedar-wood and a hint of dried honey. Very fine delineation here. The palate is medium-bodied with a firm entry, well judged acidity with great precision and poise. The finish is fresh and harmonious, thought it perhaps lacks the joie-de-vivre and the ambition of a top-tier Montrose. Tight on the finish, but still, this has much to offer and deserves another 5-6 years cellaring. Drink 2015-2030. Tasted November 2010.